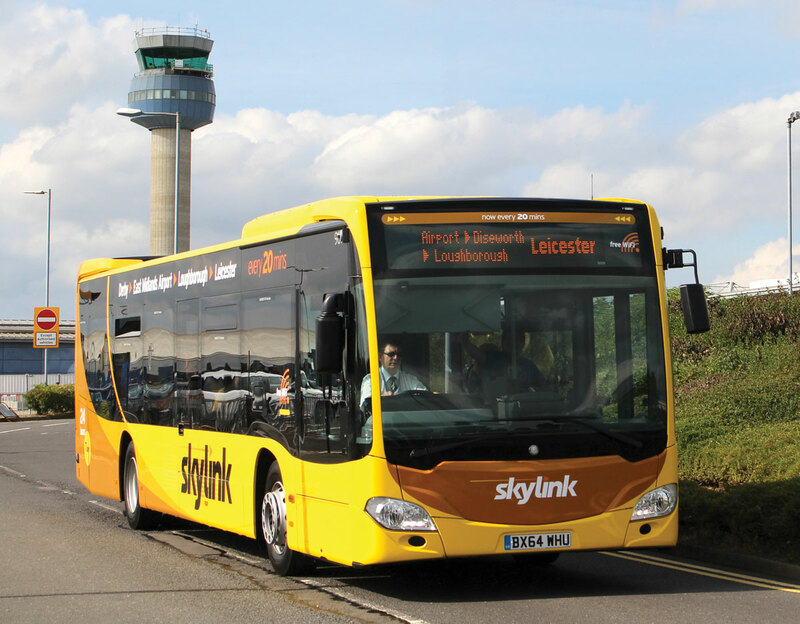 Loughborough based Kinchbus has invested £1.5m in eight new Mercedes-Benz Citaros for its Skylink service linking Derby, Loughborough and Leicester with East Midlands Airport. Adding the vehicles has enabled the introduction of a new timetable with buses running every 20 minutes Monday to Saturday and every half hour on Sundays. 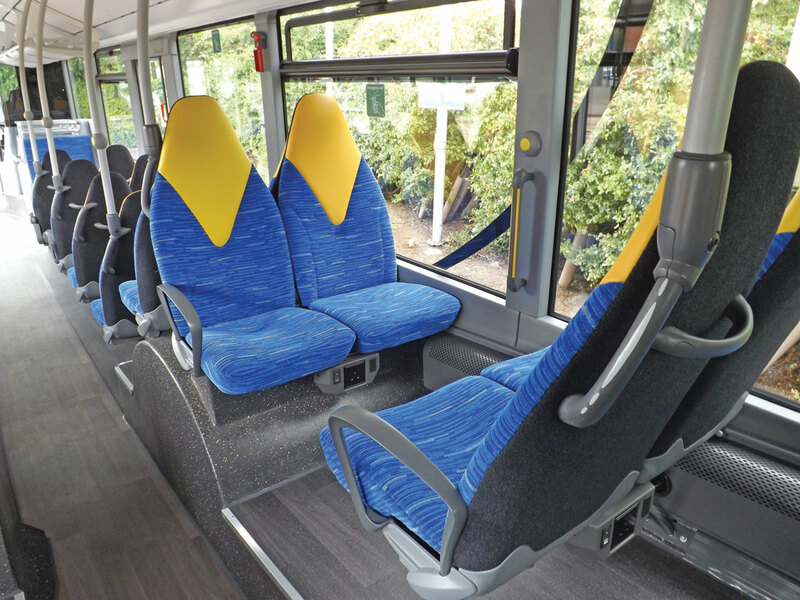 The buses are the UK’s first Citaros to be equipped with USB and three-pin plug socket power-points, enabling passengers to charge their mobiles, laptops and tablets. They feature 42 seats, a bespoke part-leather fabric designer interior, wood effect flooring, fluorescent interior lighting, air conditioning, a 4G wi-fi system, double glazed windows, audio/visual next stop announcement equipment and increased storage provisions. They are powered by Mercedes-Benz OM 936 220kW Euro6 engines coupled with six-speed ZF Ecolife automatic gearboxes.